Dre Babinski's Altpop project Steady Holiday prefers "Your Version Of Me"
The two things you need to know about multi-instrumentalist Dre Babinski: she's idiosyncratic and particular. Older fans might remember Dre as the violinist/vocalist of Dusty Rhodes and the River Band, or as one half of the folkpop project Miracle Days. As a working musician, Dre admits that her job distanced her from creativity, and hence the local scene. "I've had a pretty insulated experience. It wasn't til quite recently that I've felt the courage to lead a project and begin sharing my own work, and I'm quickly finding how nice it is to be a part of a community." 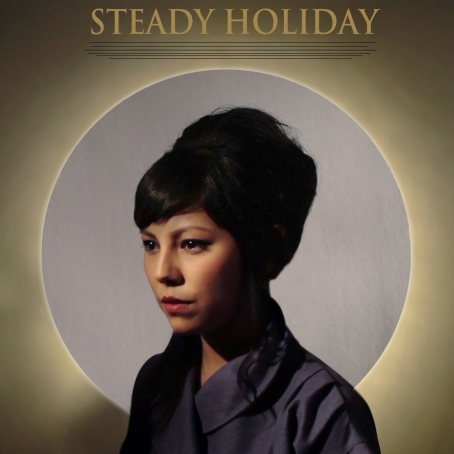 Her new solo project Steady Holiday digitally released "Your Version of Me", first single off the 2016 full-length Getting There. The looming progressions, cinematic strings, and lofty Spage Age vibes toy with a confession of (co)dependence. It might be a snapshot of Dre's musical and personal growth, but that's not up for discussion today. "The only evolution I can speak on is a personal one, but we'll save that for my Oprah tell-all next week."